Summer’s Here: Are You Ready for “I’m Bored”? Well, school is out just about everywhere now, and this post is for parents who are looking at a long summer ahead. My credentials: I raised four children, two girls and two boys. Between the oldest and the youngest was a 10 year gap. We all looked excitedly towards the last day of school, envisioning play dates and pool time galore. The problem became glaringly obvious quickly. Everybody got bored with this summer vision and, between the 10 year age gap and the difference in what girls and boys enjoy, summer could become quite a challenge. Out of pure survival mode, I developed a plan. It wasn’t hard and fast but it gave me structure. Pick or choose what works for you. We found a cultural center offering weekly arts programs for children. You signed up in advance but the programs were free. (Tip: don’t wait to sign up.) We witnessed short stage dramas (one even brought the actress who was to be a witch on stage to put her scary make-up on so she wouldn’t frighten the children), puppetry, music and dance. The shows were timed for a child’s attention span and were perfect for children up to 6th grade. Cultural arts for free! We participated in our neighborhood’s swim team. 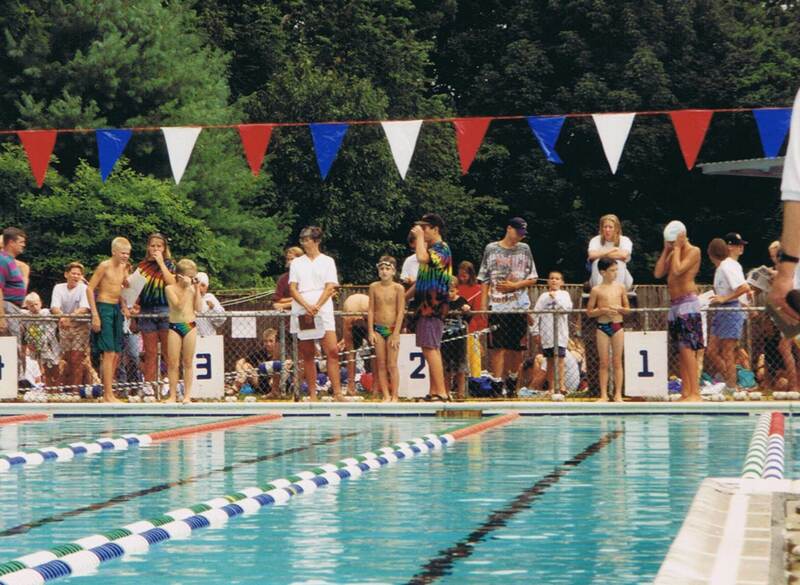 Swim teams are fantastic for families because regardless of age, all of your children can participate. If your child is not a great swimmer, the daily practice will change that. Most swim teams also provide some occasional social activity which, again, works for all. Almost every area has some historic components. We live in an area rich with historic sites. Many people never take advantage of those near to you. I was guilty of that, going to see them mostly when family came in from out of town. See your town. Pretend you’re on vacation and tour it. Periodically, we had international night at home. Dinner was a non-complicated dish that was from a foreign country. Nothing fancy here, even spaghetti qualifies. Go to the library and get an easy travel book so you can learn something about the country and a “learn the language” CD. Then we would rent a movie from that country, subtitles and all. It was fun to hear the language and try it. Now renting is trickier so if you don’t have netflix, I suggest checking with the library. Many of them offer movie rentals, too. I don’t know if you can find them on Red Box for a $1. That would still be a good deal. Everybody had to write a letter once a week. The most frequent recipients were grandparents, who were thrilled to receive the letters and who took the time to write back. Children love to get mail. Sometimes they wrote to musicians or sports idols. My two sons once wrote to their biggest baseball idols. I won’t speak badly of the one who never wrote back or even had his people do it but a tip of a mother’s cap and a warm thank you to Cal Ripken, Jr. of the Baltimore Orioles who did respond and thrill my young son. Letters not only helped my children practice their writing but taught them about the world around them. Starting in July, we would pick times now and then to work away at required school work. School supply shopping always happened on the first rainy day in July. Trust me, its a lot less crowded than in late August. Speaking of that, if your children are small, summer is good for puddle-stomping. After one of those late afternoon storms, put the rain boots on your children and go for a walk. My neighbors used to love to watch my children as they joyfully stomped through ever puddle left behind after the storms. Our back-up plan: the “I’m Bored” jar. It sat on top of our refrigerator and was filled with folded pieces of paper, each bearing an activity to do if you’re bored. You never knew what it would be, unusual toys or games, a “call a friend” to play, something new to do outside or any of a large number of activities. So, there you have it. I may have forgotten something but most of these ideas are either free or cheap, interesting for all and they help guarantee the children will have something to talk about in their “What I did on my summer vacation” paper. And don’t think our entire summer was planned. All children need some unplanned down time for their imaginations to grow. That can’t be scheduled. Happy Summer! Categories: Correspondence, family, Parenting, Summer Parenting, Uncategorized | Tags: Cal Ripken Jr, family, parenting tips, summer | Permalink. “My Dear and Great Friend”. So began a touching three page, hand-written letter. It was addressed to my step-father, building on a friendship begun in a time of war. If you are younger than a certain age (say 30), it is entirely possible that you have never written a letter. At the rate things are going with the USPS, I suggest you try it soon. Letters are a much more personal and permanent communication than an email, tweet or text could ever be. For one thing, each person’s handwriting is uniquely theirs and even that varies by mood and purpose. You see a woman’s love letter and even the loops in the letters say romance. Watch that same woman write an angry diatribe at a politician, a friend who did her wrong or a partner and you’ll see where the pen pressed down deeply in the paper, where her writing slants up or down and where the letters get bigger for emphasis. And a signature, unspoiled by the speed we sign our name at a retail checkout is a part of one’s identity. Think about where else you see the word, like the phrase “signature style” – doesn’t that mean a style that is yours alone? A hand-written letter is more than a communication, it is a gift. Well-written, poignant, funny, angry – whatever, they are read and re-read, shared and kept to read again another day. I have a love letter from an old boyfriend from when I was in high school. Its very sweet and romantic, right up to the moment when he blows smoke from a joint on a sand crab and it dies. Well, he was young. There’s a letter form a boy in college, apologizing for standing me up. Truth be told, I was mad. But this letter contained every trite phrase ever composed. He didn’t mean it to be a joke but it made me laugh and I never looked his way again. But the letter I kept and brought out for a good laugh when needed. One special letter came from my husband’s grandmother when she heard we’d gotten engaged. Her letter was more than congratulations. She shared the highs and lows of her marriage, her philosophy on making a marriage work (with special attention to the “modern woman’s emphasis on work” which was actually quite astute. I still have the letter from the first politician (local) who wrote me to invite me to be an official member of his campaign. There are letters from my grandfather – what a treasure! Letters from my father who was stationed abroad and so missed my high school graduation. Actually, as a child, I would write letters to my father wherever he was stationed and he, a frustrated would-be English teacher, would send them back corrected in red ink. He corrected spelling and chided me not to use worn-out greetings like “How are you? I am fine” as we were taught to do in school. Yes. In school. Children used to learn how to write a proper social letter and business letter as part of their English lessons. Letters offer more than memories; they are a way to track history. Did you know that Churchill and Roosevelt kept up secret correspondence throughout World War II? They have proven to be a valuable source to learn what these world leaders were thinking. John Adams and Thomas Jefferson were also great correspondents whose letters offer great historical insight. (Trivia: both died on July 4, 1826 within hours of each other.). Letter writers don’t have to be famous to give us a look at history. In my family, we have my stepfather’s correspondence during and after World War II. Letters from home show the impact on the homefront. But the letters from friends he made overseas offer a different look into postwar rebuilding and shortages and how much the U.S. was admired and trusted. With technology changing at a faster and faster pace, its an easy argument to make that, no matter how beautifully you write words and compose letters, emails, tweets, texts and whatever comes next to make these formats dinosaurs, its hard to imagine keeping them around in the same way. Even if you keep print copies or digital copies, they won’t be as expressive as an actual letter. If you’re even remotely interested, I have a challenge for you. Get a piece of paper or two. Its very hard to actually buy stationery anymore. Write a hand-written letter to someone who is important to you. It doesn’t have to be long but make it heartfelt. Actually, send two. Send one to someone older than you who will be touched by your gesture and likely to write back. You need the experience of receiving a letter as much as sending one. and make the second one to whoever you choose, regardless of age. If they’re younger than you, you’ll be giving them a gift they may never get again. I swear to you I have no stock in the U.S. Postal Service. This exercise will only cost you $.88 for two stamps. But the letters will be, as they say, priceless. Categories: Autobiography, Correspondence, friendships, humor, Life, Uncategorized, Words | Tags: correspondence, family, friendships, letters, relationships | Permalink. © Facets of Lucy, 2015-2016. Unauthorized use and/or duplication of this material without express and written permission from this blog's author and/or owner is strictly prohibited. Excerpts, links, and photographs may be used, provided that full and clear credit is given to Facets of Lucy, with appropriate and specific direction to the original content.